My new 6×6 painting, “Shimmering Solitude,” begins as a sketch on canvas. This is the initial sketch on a 6-inch by 6-inch canvas. 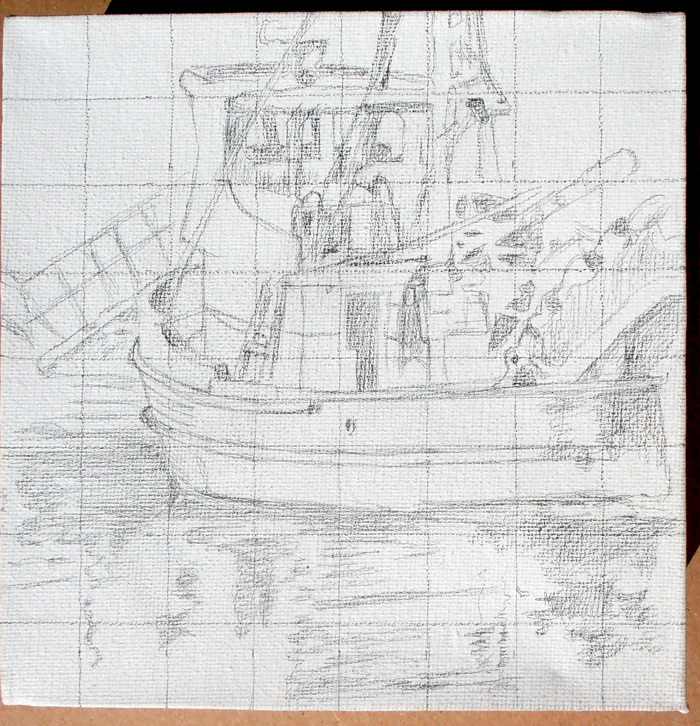 I decided to use the grid method to place the commercial boat on the 6 inch by 6 inch canvas. The painting will depict a working boat, docked at the end of the day after a productive day on the job, providing jobs and food for their families and customers.